Crystal Healing is a non-invasive gentle form of complementary therapy. This holistic treatment harmonizes the body, mind, emotions and spirit. Every living organism has its own vibrational energy system. Our energy system is made up of 7 main Chakras. Illness can arise when there is an imbalance in our energy system. Crystals are selected according to their vibrational energy system and place on various energy points on the body to influence the energy within and around the body. The client will be fully clothed and asked to lie face up on a massage table, the therapist will lay crystals on and around the body. The crystals used and the positions they are placed will depend on the individuals requirements. The therapist will then use various techniques to clear energy blockages and raise the clients energy levels. 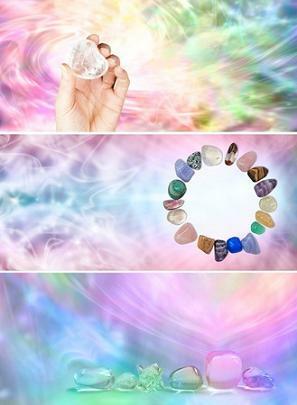 Crystal healing is often used in combination with other Energy Healing techniques such as Reiki.